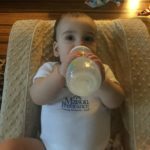 The Monson Law Firm would like to thank Maison Insurance Company for sending all the new babies in our office onesies! Pictured below is Vincent Latuso son of Donald Latuso, Esq. sporting his new outfit. Click here to view pictures! We are truly thankful for and blessed with our relationships with each and every one of you. Wishing you a happy and safe Thanksgiving! 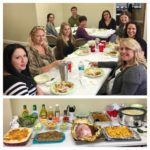 The Monson Law Firm enjoyed our Thanksgiving feast. We have so much to be thankful, especially our friends in the industry! Click here to view pictures! 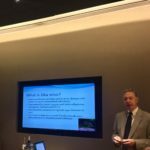 The Monson Law Firm attended the Risk Management Society’s November lunch meeting at Fogo de Chao restaurant in New Orleans. We learned from guest speaker, Dr. Joseph Dalovisio with Ochsner Medical Center on the topic of Wellness and the Zika Virus. Click here to view pictures! The Monson Law Firm attended the Northshore Claims Association’s November Lunch meeting at Friends Coastal Restaurant in Madisonville. We learned from guest speaker Keith Fountain with Fountain Group Adjusters. 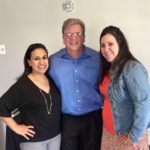 Pictured are Laura Abel with The Monson Law Firm, Keith Fountain and Jennifer Engle with MDD Forensic Accountants. Click here to view pictures! The Monson Law Firm participated in the Young Insurance Professionals Glow Ball Golf Tournament which was held in Lake Charles at Contraband Bayou Golf Club. Pictured are Ann’Lee Earles, CISR, CPIA, with The Monson Law Firm, Danielle Gendusa Wagner with Gendusa Insurance Agency and Jennifer Cochran with Lighthouse Property Insurance Corporation. Click here to view pictures! 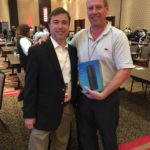 The Monson Law Firm would like to congratulate our door prize winner at the LASIE Conference, Jeffery Clement, with Boh Bros. Construction Company. We hope you enjoy your new Amazon Echo! Click here to view pictures! The Monson Law Firm was a Gold sponsor at the Louisiana Association of Self Insured Employers Conference in Lake Charles at the Golden Nugget. 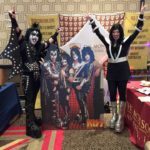 This years Conference theme was “Rock On.” If you are in need of a law firm that rocks, contact The Monson Law Firm today! www.MonsonFirm.com Click here to view pictures!